TASHKENT. KAZINFORM Kazakhstan will enact a new environmental code by the end of the year. Deputy Chief of the International Communication Department of the Ministry of Energy Kerey Bekbergen said it on the sidelines of the II Central Asian Conference on Climate Change opened in Tashkent today. NUR-SULTAN. KAZINFORM A seminar on the development of a taxonomy of green projects for the Republic of Kazakhstan was held at the site of the Astana International Financial Center (AIFC), AIFC informs on its website. NUR-SULTAN. KAZINFORM The Kazakh capital joined the traditional Earth Hour campaign on Saturday by switching off lighting of its iconic buildings - Baiterek Monument, Nur-Alem Sphere, Mangilik El Arch, Opera and Ballet Theatre and others, 24.kz reports. ALMATY. KAZINFORM Kazakhstan will start this year building three mudflow check dams, Kazinform reports. ASTANA. KAZINFORM - The Astana Botanical Garden will open its doors to visitors in April, Kazinform correspondent cites Gulnara Sitpayeva, General Director of the Institute of Botany and Phytointroduction. ASTANA. 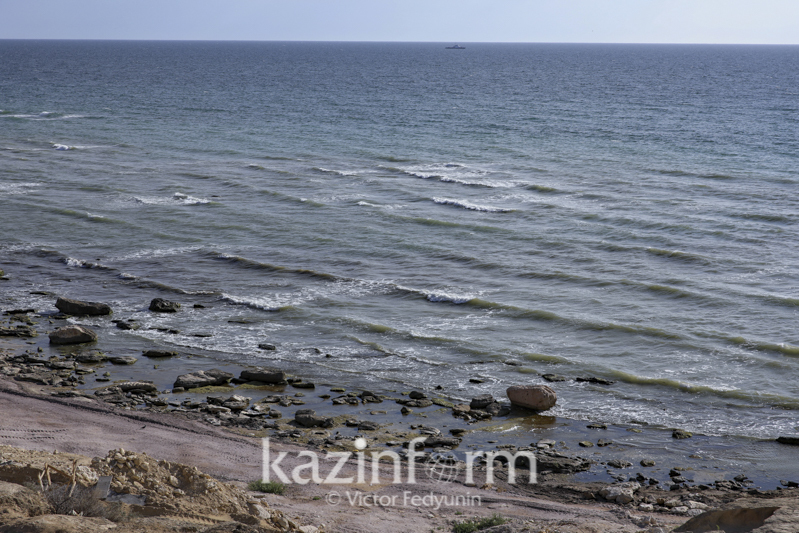 KAZINFORM Five Caspian states are planning to conduct joint researches to detect the Sea's pollution level, according to the MFA Ambassador at Large Zulfiya Amanzholova, who said it at an extended meeting of the Senate Committee for International Relations, Defense and Security, Kazinform reports. ASTANA. KAZINFORM Each Kazakhstani snow leopard will be given a name and issued an ID Passport, Advisor to Director of Almaty Zoo Yerzhan Yerkinbayev informs via his FB account. ASTANA. KAZINFORM An open air enclosure for Bukhara deer recruitment has been built in the territory of Ile-Balkhash wildlife reserve in Almaty region, Kazinform reports. ASTANA. KAZINFORM It is planned to build a waste sorting complex with a capacity of 60,000 of products under the green economic development concept in Kyzylorda region, the official website of the Kyzylorda region administration reads. ASTANA. KAZINFORM - The Republic of Kazakhstan and the Republic of Korea signed a Memorandum of Cooperation in the field of information technology and communications, Kazinform correspondent reports. ASTANA. KAZINFORM - Rapil Zhoshybayev, Head of the International Center for Green Technology and Investment Projects, underlined the need to considerably update the Environmental Code so that to introduce the best available technology (BAT) in Kazakhstan, Kazinform correspondent reports. BAKU. KAZINFORM The 9th Azerbaijan International Environmental Exhibition Caspian Ecology 2018 under the motto "Change yourself, not nature" will be held from November 14-16 at Baku Expo Center, AzerTAC reported. ASTANA. KAZINFORM Kazakhstan Ministry of Energy entered into a trilateral memorandum of cooperation with K-eco Korean Environment Corporation and LLP EPR Operator (Extended Producer Responsibility), Kazinform reports citing the Kazakh Ministry's press service. ASTANA. KAZINFORM - The construction of the first start-up facility of a 100 MW wind power plant, which is adapted to local climatic conditions, is underway in Kostomar village in Akmola region, 40 km from Astana, Kazinform cites the Regional Communication Service of the Domestic Policy Department. PAVLODAR. KAZINFORM A waste sorting factory with a capacity of 40,000 tons has been launched in Ekibastuz, Kazinform reports. ALMATY. KAZINFORM The X international conference themed Monitoring of nuclear tests and their consequences will take place on August 6-10 in Almaty, the Kazakhstan's Nuclear Society reports. ALMATY. KAZINFORM - The day foreign currency trading session ended on Kazakhstan Stock Exchange (KASE). 22 banks traded in the session. UST-KAMENOGORSK. KAZINFORM - An international expedition consisting of representatives of UNDP in Kazakhstan, the Asian Development Bank, the European Bank for Reconstruction and Development, the World Bank, the Kazakh Tourism national company and local environmental specialists on June 23- July 1 will climb Mount Belukha in Altay Mountains. A well-known Kazakh climber, Maksut Zhumayev, who has climbed Mount Everest twice, will also join the expedition. Akimat of the East Kazakhstan region also provides support for the project, Kazinform as learnt from the UNDP. ASTANA. KAZINFORM - It is planned that the forest around Astana will have been increased up to 100,000 hectares by 2021 as was announced during the Conference on the Forest Landscape Restoration and the Bonn Challenge, Kazinform cites the Agriculture Ministry's press service.